A lot of people, upon first seeing the pocket cultivator say, "That's just a fork!" Well, they just don't understand. 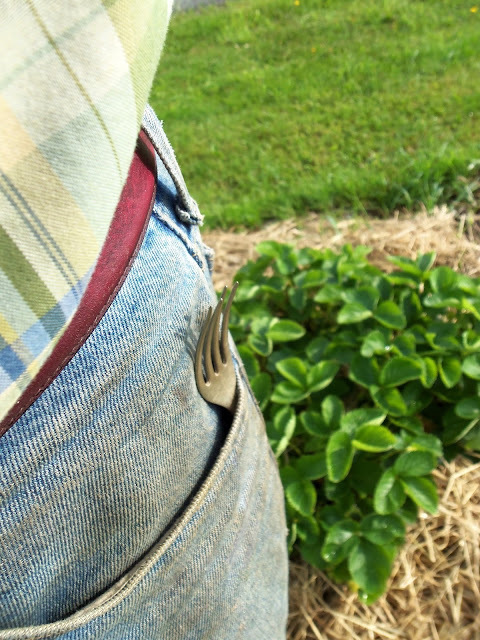 It was a fork, but after it is cut to length and a bulbous taped end is created, the fork becomes a comfortable tool for stirring the soil around plants in your garden. 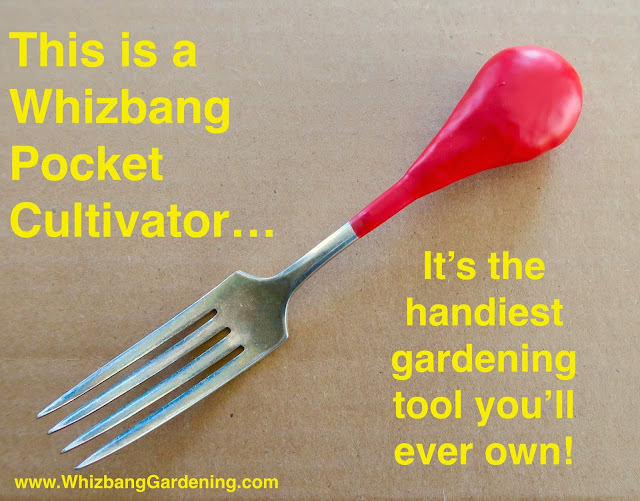 I almost never go to my garden during the growing season without my pocket cultivator. The tool will be especially useful with my Minibeds-on-Plastic experimental garden this year. As an entrepreneurial experiment, I have made a limited number of Whizbang Pocket Cultivators like you see in the picture above. By limited, I mean I made only ten of them. They are for sale here, first come first served, until they are gone. These pocket cultivators are Deluxe versions for two reasons. 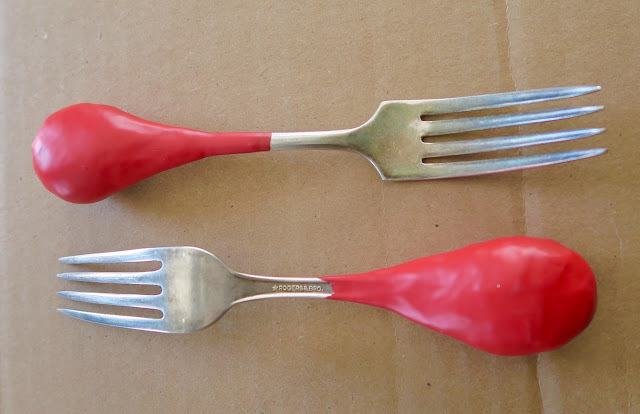 First, they are made from vintage silverplate forks that I bought at an antique store last summer. There was a box with hundreds of pieces of old silverware and I sorted through them all to get the ten forks-to-pocket-cultivators that I'm selling here. It so happens that some old forks are really heavy duty. Not all old forks—just some. And these ten forks were exceptionally strong. After getting them, and making the ten pocket cultivators I'm selling here, I figured I would just find some more vintage forks on Ebay with the same manufacturer's name and buy them. So that's what I did. And I was profoundly disappointed to find that they were not nearly as strong. So they are not going to be pocket cultivators. If I make these pocket cultivators again, it will be only with vintage forks I've found in antique shops, and have had a chance to see just how strong they are. 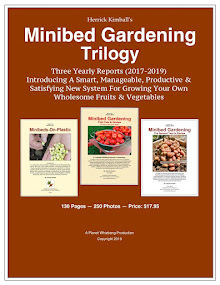 That said, please keep in mind that if you buy one of these Limited Edition, first production run Whizbang pocket cultivators, you should not use them to dig potatoes in clay soil, or anything like that. You can dig somewhat with them but if you do so, you should grasp the fork down close to the tines so the handle-to-tine connection doesn't bend. 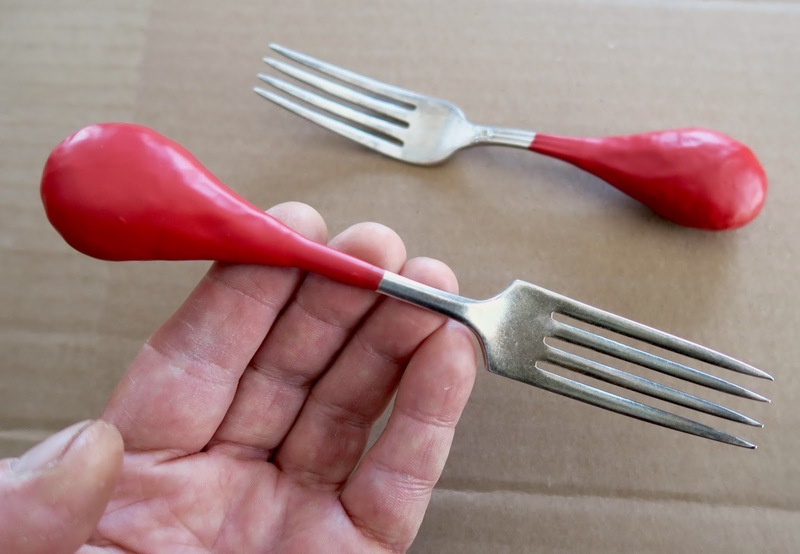 These vintage forks are strong, and they will serve you faithfully for many years (as long as you don't lose them), but they will bend if you put a LOT of bending stress on them. 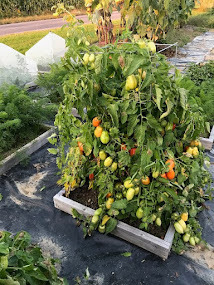 The primary function of these little cultivators is to stir the soil surface, snag little weeds up close to your vegetable plantings, and make shallow planting pockets in the soil. They'll smoosh bugs too. Every pocket cultivator is a little different. The forks themselves are different, and the hand-wrapped, hand-dipped handles are different. That's because the handles are carefully hand-crafted by yours truly. There isn't a doubt in my mind that you will appreciate this unique gardening tool. The price is $21.95 each, and that includes first class postage to any US address. I hope to make more of these for next spring, but these ten pocket cultivators are the only ten I have for now. 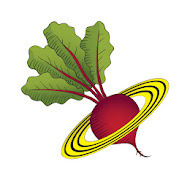 Planet Whizbang. Click Here to go there now.